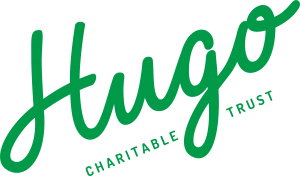 On the 31st of May 2017 the Hugo Charitable Trust was launched by Maryanne, Mark and Alice in honour of Hugh Green to build on his philanthropic legacy for the future benefit of Aotearoa New Zealand and New Zealanders. Maryanne worked closely with Hugh for over 25 years where she developed a deep understanding of Hugh’s philanthropic priorities and wishes. Maryanne Green as the Settlor established the Hugo Charitable Trust to continue the legacy of helping others started by her father, Hugh Green. Hugh Green, born in 1931 in County Donegal in Ireland, was the fifth of eight children. 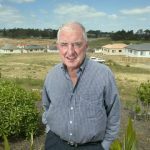 Hugh endured great hardship through his early life before moving to New Zealand as a young man where he worked hard and lived by strong Catholic values which he encouraged his children to follow. As he went on to earn business successes he set about establishing a pattern of philanthropic giving to those less fortunate than himself. Hugh’s eldest daughter, Maryanne Green, established this Trust in his name to continue his generous giving and in his memory. We are simply delighted to have them on board supporting the work we do in Pukekohe. To find out more about the work they do and the people, click here. Share the post "Spotlight on our supporter – Hugo Charitable Trust"